Air China staff are suspected of sparking up on a flying plane after passengers complained about cigarette smells coming from the cockpit. Four passengers aboard the CA108 plane said they encountered the strong smell of a lit cigarette 10 minutes after take-off. Passengers complained to a flight attendant, who went into the cockpit twice and offered an apology. The flight attendant also persuaded the passengers not to make a fuss out of it, according to Ming Pao on Wednesday. 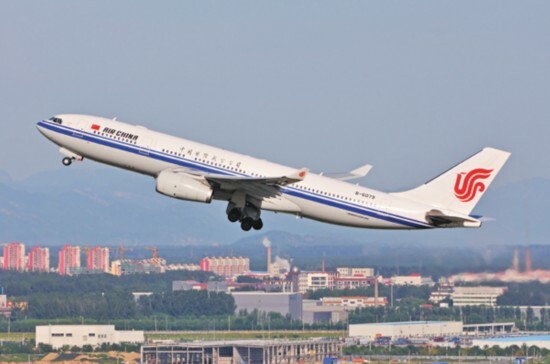 The Air China International plane was flying from Hong Kong to Beijing on June 2. All four passengers were assured that once landed in Beijing, Air China would initiate an investigation into the incident. All four also signed a safety disclaimer, saying Air China staff had offered satisfactory service and that they would receive notification of the investigation results. One of the four passengers said there had been previous smoking incidents on Air China planes flying between Beijing and Hong Kong. Air China did release their investigation results to one of the passengers. The documentation claims that the plane was damp when taking off and that the troubling smell was not cigarette smoke, but rather an outflow of air that resembled it. Discontented passengers are complaining that Air China is not acting out of sincerity. "The cockpit is the only place on an airplane where you can smoke without triggering an alarm from a smoke detector," said one passenger. Air China has hung up on Ming Pao multiple times when they have attempted to obtain more information. No smoking under any roof?